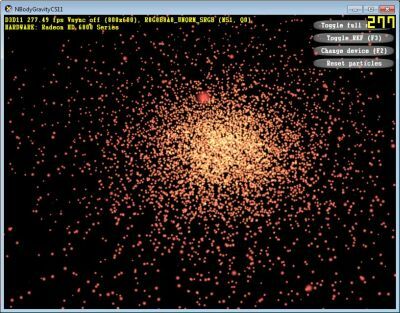 For measuring DirectCompute performances, I simply used the Compute Shaders samples that come with DirectX 11 SDK June 2010. – NBodyGravityCS11 test, res: default size. – HDRToneMappingCS11 test, res: 1920×1080 windowed.